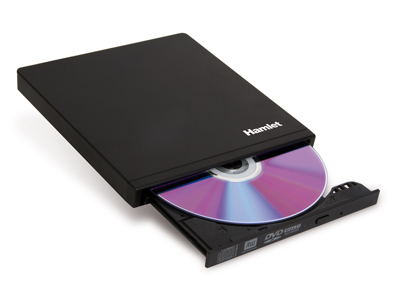 External Slim DVD Writer is an external optical drive that allows you to read and write music, video and data to any CD and DVD media. Its compact, lightweight and slim design makes it ideal for use with notebooks and netbooks. The high speed USB 2.0 interface allows data transfer rate up to 480Mbps. Powered by the USB port, the AC adapter is not required. It is also not necessary to install any drivers.